Tabakalera, International Centre for Contemporary Culture presents its First International Film Seminar: three days inside the cinema to watch audiovisual materials and share texts, processes, talks, debates and encounters in one side and the other of the screen. 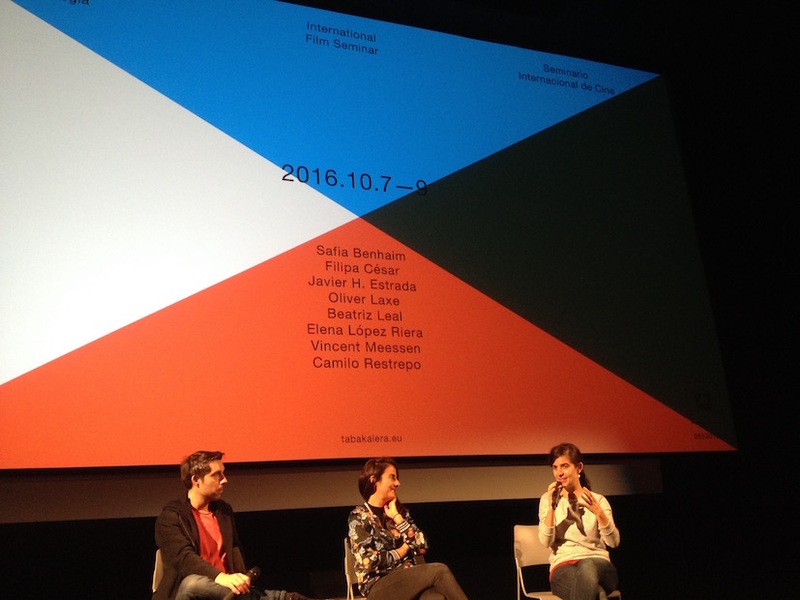 Javier H. Estrada, Elena López Riera and Beatriz Leal (from left to right on the picture) and were asked to draw an itinerary of audiovisual, academic and theorical references to present the works by the guest filmmakers and artists: Safia Benhaim, Filipa César, Oliver Laxe, Camilo Restrepo and Vincent Meessen. Evening screenings include among other films by Abderrahmane Sissako and Raoul Peck.